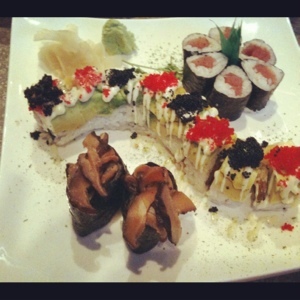 Synopsis: sushi was good, but I had good sushi in nicer restaurants. 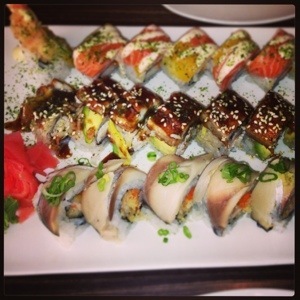 We went to Sumo in Eau Claire Mall (200-136 Barclay Parade SW) because of a Groupon I bought some time ago. For some obscure reason, I thought this restaurant was spacious and modern inside. I do not know why I would entertain such thoughts given the location (the Eau Claire mall needs a serious revamp). On his birthday, I took my husband out for dinner at Ox and Angela. If you go there, do yourself a favour and get the ‘spanish table’ meal. You won’t regret it (and you won’t have to look like a fool not knowing what you have ordered, since most of the items on the menus are tapas). Unfortunately, I do not have pictures to back it up – the food was great, the ambiance was perfect, and we were having a great time, so there was really no time to think about taking pictures. 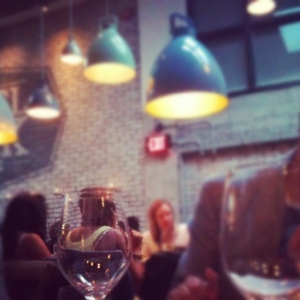 A few weeks ago, we gave 80th & Ivy a try for lunch. I had been waiting for an opportunity to try this place ever since it opened up (1127 17 Ave SW, Calgary): it looked good, great patio for people watching and I really liked the big windows. I did not know there’s a ‘back’ that looks more like a bistro than a pub – lots of natural light, simple and clean decorum, view of the kitchen and lots of plants. Have you tried Double Zero Pizza yet? Update: January 2013. We went back to Double Zero Pizza two years after we first tried it. Again, I loved the place but was not impressed with the pizza. My favorite shawarma is way down in the SE; when we don’t feel like driving all the way to Dessert Pita, Babylon Qithara is our next choice. 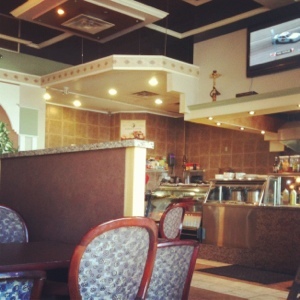 This little mediterranean foods place is located right next to the Sundridge Cineplex (#311, 2555-32 St. NE). It’s clean, with plenty of room to sit and they’ve done a decent job decorating it. If you are not a fan of shawarma, donair or kebab, you can still find something to enjoy – falafel, fried eggplant, chicken, soup. Since we’re trying to be careful when eating out, we ask for humus-only chicken shawarma (no other sauces). The regular shawarma is $6.99 and the large one is $8.99. 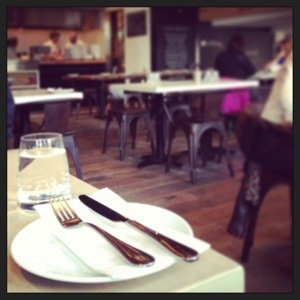 With a pop, lunch costs us $20 with GST and tip. I should confess I’m biased: I do like Model Milk. I like the concept, I like the food. Now that you know where I stand, you can go on reading about our dinner there last week. Sushi plate, Fuji Yama on 17th. After reading some of the Urbanspoon reviews for this place, I am happy to report my sushi night-out was quite successful! We have never tried the place before – and that’s exactly why I got the 20-for-40 discount coupon. The restaurant is located in the basement of the Devenish building on 17th (908 17th Ave SW) and you have to go around the building to find the entrance. Once you’re in, turn to your left to enter the restaurant. 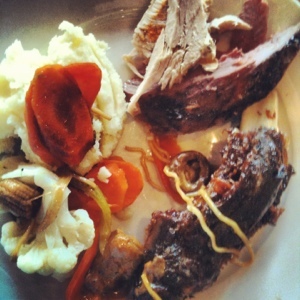 Meat-lovers dinner buffet: moist and tender ribs with veggies. Dinner buffet anyone? We were recently coming back from a one-day trip to the Dinosaur Provincial Park near Brooks (worth seeing, if you haven’t been there – beware of the snakes though!) and searched the internet for restaurants in Strathmore. The Road House Restaurant and Saloon was top of the list, on Highway 1 (map) so we gave it a try! Inspired by another Calgary food blogger, I decided to try a new small place in the industrial area. 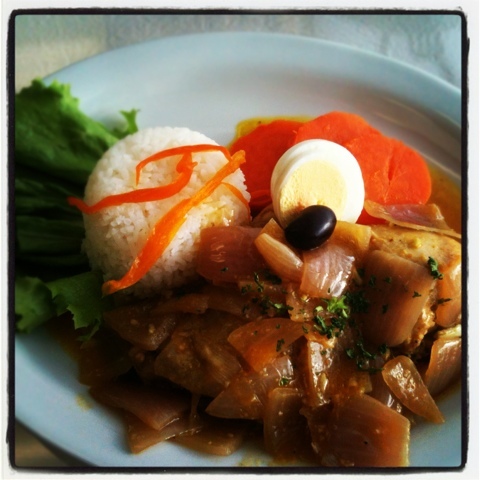 Inti (208 – 3132 26th Street NE) promises to bring the ‘flavor of Peru’ to your table.